Conquer one of the toughest mountain climbs in the world – Mont Ventoux in France – three times in just one day. 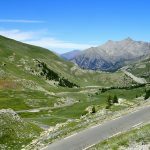 In addition to climbing the infamous Mont Ventoux (three times in one day if you’re up to the challenge, entitling you to join the Club des Cinglés du Mont Ventoux), on this four day trip, we will give you a taste of the amazing cycling the surrounding region has to offer. 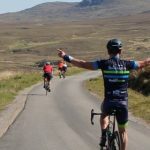 All in a relaxed atmosphere, with a focus on enjoying ourselves both during the days on the bike, and also in the evening over some excellent local food and wine. 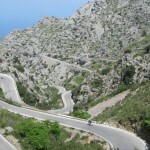 The triple ascent of the Giant of Provence involves more climbing per distance cycled that any existing sportive event – 4,400m of climbing over the 137km ride. 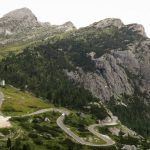 Cyclists may have to battle extreme winds and scorching or freezing temperatures as they take on the notoriously inhospitable mountain, the scene of one of the most difficult climbs in the Tour de France. First is the ascent from Bédoin, the best known of the climbs due to its regular appearance in the Tour de France. Cyclists will power up 1,617 metres over 21.8km, with an average gradient of 7.43%. Next, as lungs are already burning and leg muscles screaming, you will tackle the climb from Malaucène, arguably as tough as the first ascent. Entrants will cover 21.5km, climbing 1,570m. Finally you will be met by the third and gentlest climb, from Sault, covering 1,210m over 26km, at an average gradient of 4.4%. Included in the package is an official Cinglés entry – if you manage to complete all three ascents and descents of Mont Ventoux in one day, you will become a member of the Club des Cinglés du Mont Ventoux and receive a numbered medal. In the 30 years it’s been going, only 13,600 people have completed the Cinglés. And come on ladies – if you complete it, you’ll be one of fewer than 900 women to have done so! Price: £625 based on twin occupancy; £790 single occupancy. 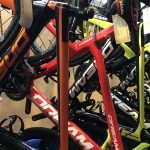 We will target the Saturday for the triple ascent of Mont Ventoux, but we will decide based on the weather forecast whether to attempt it on the Saturday or Sunday to ensure the best chance of success. Mont Ventoux can be very windy, freezing cold and scorching hot, all within the space of a couple of days. 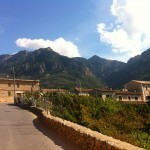 Sun : Option of guided ride in the stunning local scenery or a day of relaxing, wine-tasting etc.